This recipe calls for little explanation. 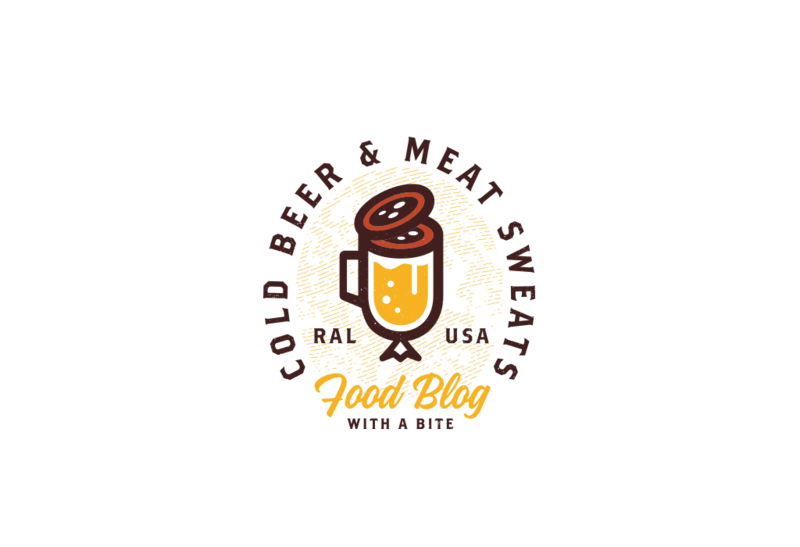 It’s summer, there are parties to attend, BBQ to consume, pools to jump in, and food that needs to be devoured spread across picnic tables everywhere! 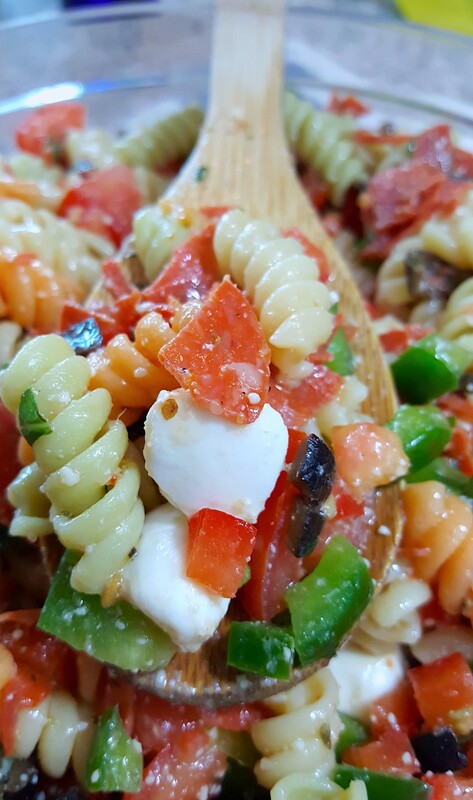 Add this pasta salad to the line up every time, and I promise you, it won’t disappoint. 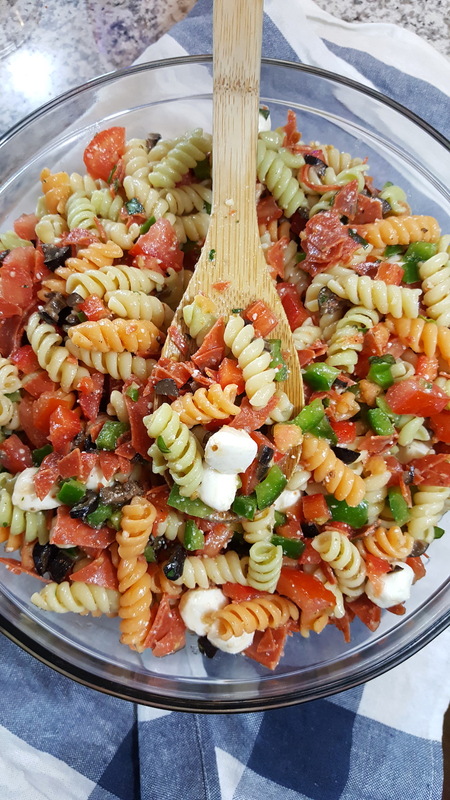 Chopped Basil, Mozzarella, Tomatoes, Bell Peppers, Black Olives, and Turkey Pepperonis are tossed in this homemade Italian Dressing for the perfect Summertime Picnic Pasta Salad! 2. 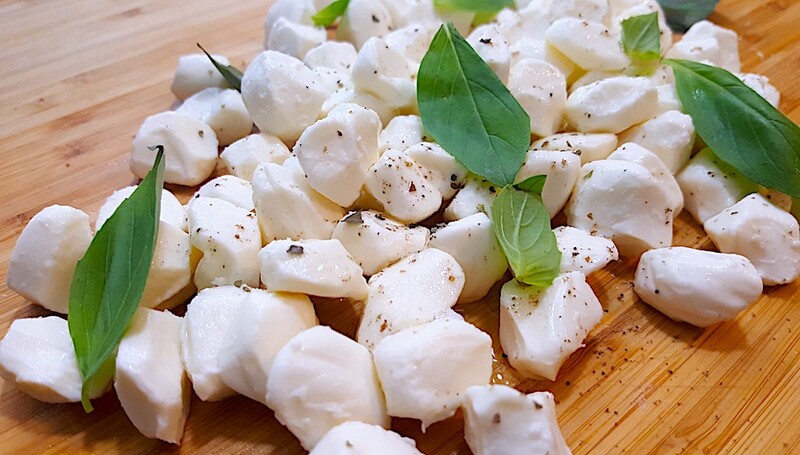 Remove the mozzarella pearls from the package and drizzle with EVOO salt and pepper, and add to a large mixing bowl. 4. 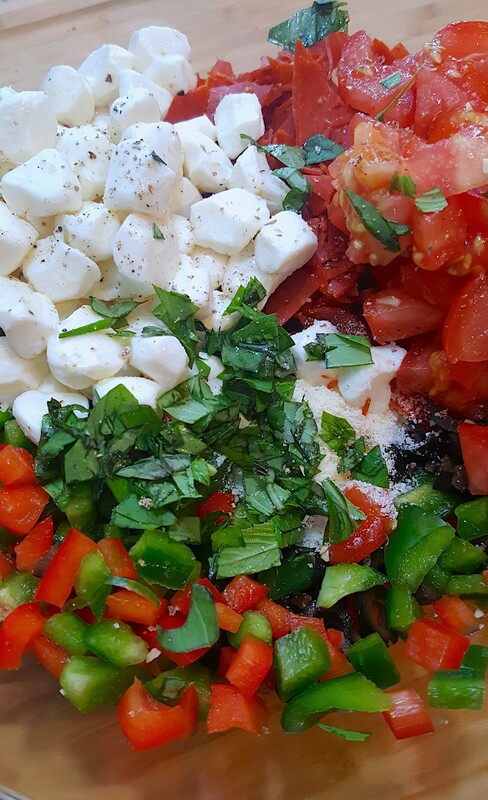 Once all veggies & pepperonis have been prepped, add them to the mixing bowl with the mozzarella balls. Add in the tomatoes last. 5. 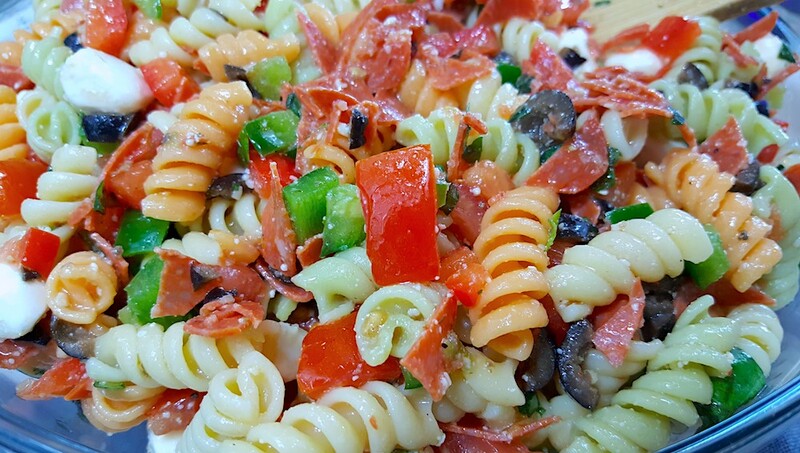 Chop some fresh basil and sprinkle it over the ingredients in the mixing bowl. 7. 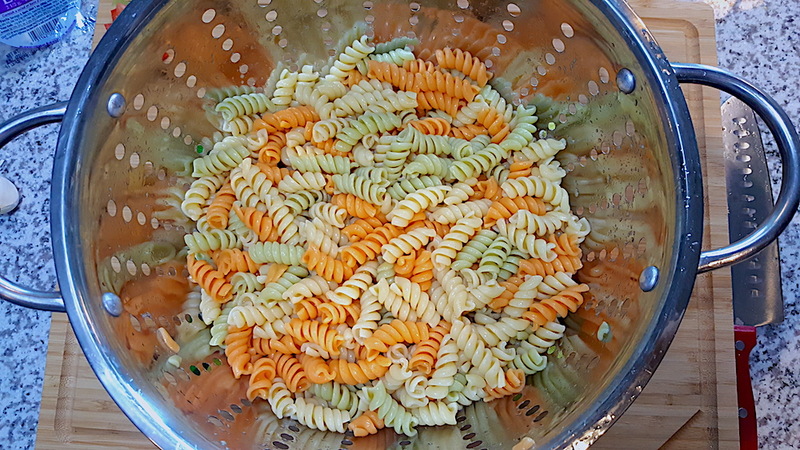 Fill a large pot 1/2 way with water, put over high heat, salt heavily, bring to a boil and add the rotini. 8. 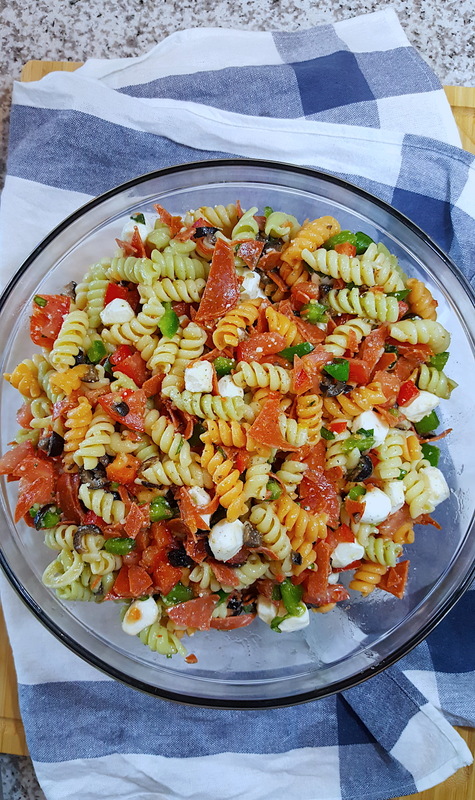 Keep an eye on the pasta, turn to medium if needed so the water doesn’t boil over, (or set a timer), and while the pasta is cooking prep the Italian dressing. 10. When the pasta is al dente turn off the burner and remove from the heat. Place a colander in the sink. Carefully grabbing the pot of water and pasta, strain the water out leaving the pasta in the colander. 11. 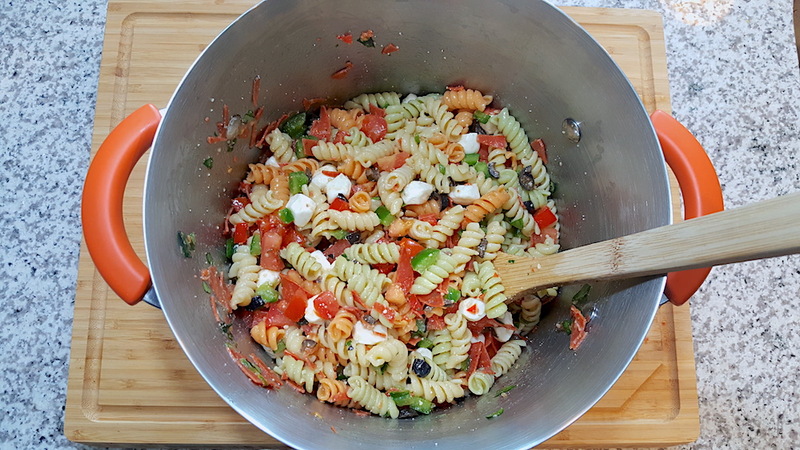 Rinse the pasta with very cold water for a few minutes then shake off excess water. 12. Once pasta has cooled and the water has been drained, add the pasta back to the pot. 14. Pour the homemade dressing into the pot and continue to mix. Always taste test. 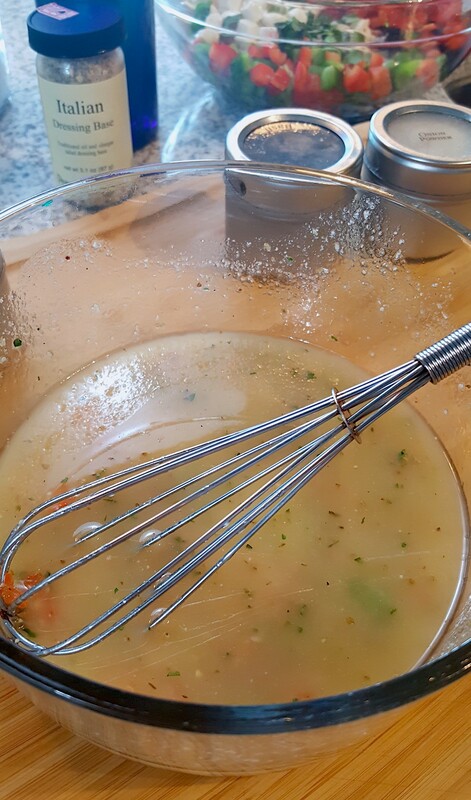 Depending on what ingredients you used, you might want to adjust the seasoning or in my case, add a tiny bit more white wine vinegar! 15. Add the contents of the pot to a glass bowl, cover with plastic wrap, and refrigerate for one hour. When ready to serve, taste test one more time and adjust seasoning if needed. Enjoy! 6. Add the parmesan cheese to that same mixing bowl. 7. Fill a large pot 1/2 way with water, put over high heat, salt heavily, bring to a boil and add the pasta swirls. 10. When the pasta is al dente, turn off the burner and remove from the heat. Place a colander in the sink, carefully grab the pot of water and pasta and strain the water out leaving the pasta in the colander. 11. Rinse the pasta with cold water for a few minutes then shake access water off of the pasta. 14. 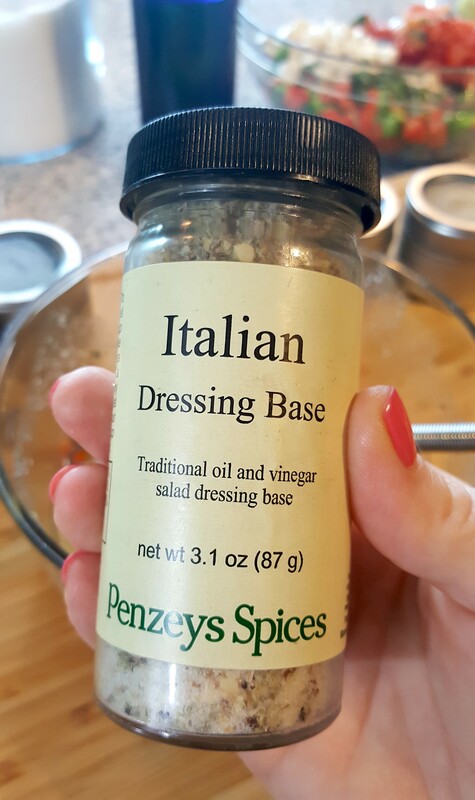 Pour over the homemade dressing and continue to mix. Always taste test. 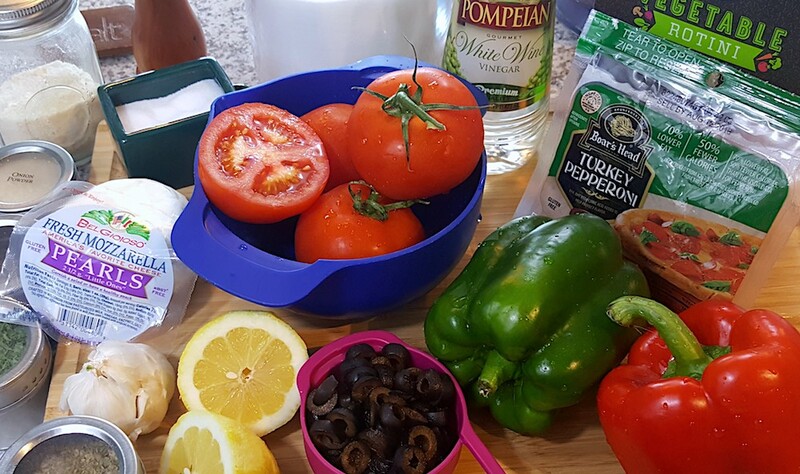 Depending on what ingredients you used you might want to adjust the seasoning, or in my case, add a tiny bit for white wine vinegar! 15. 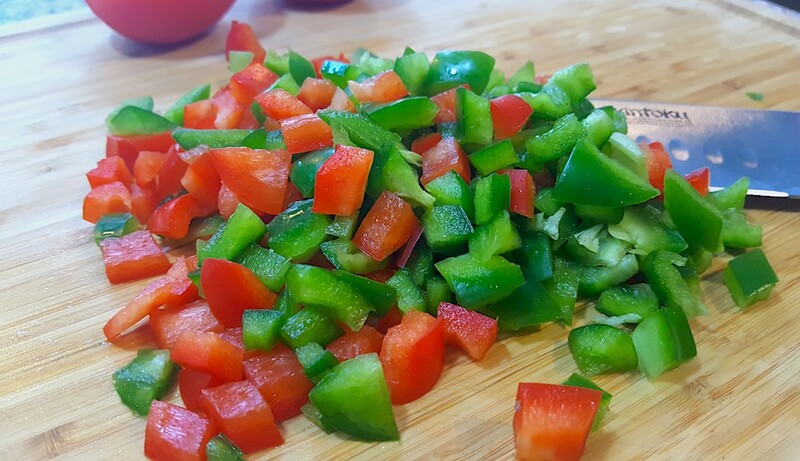 Add the contents of the pot to a glass bowl and refrigerate for one hour. When ready to serve, taste test one more time and adjust seasoning if needed. Enjoy!